First of all I would like to explain myself why I suddenly Blog in English in stead of Dutch. 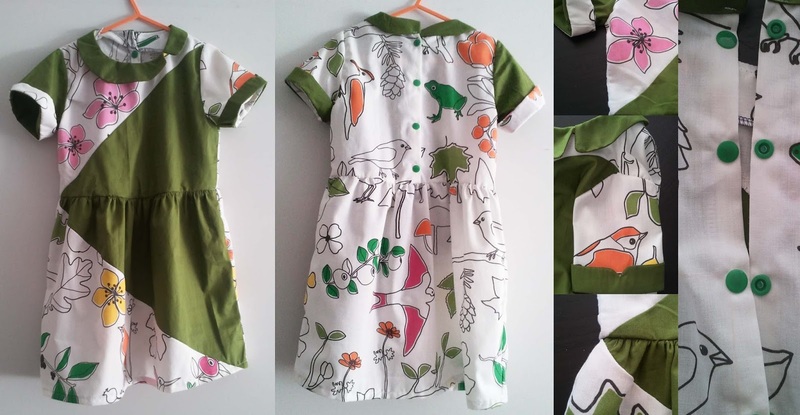 No I did not move, I'm still living in Belgium :-) but I want to enter my Flip of Straightgrain's Tinny Dress in Frances Suzanne's FLIP this pattern Contest. 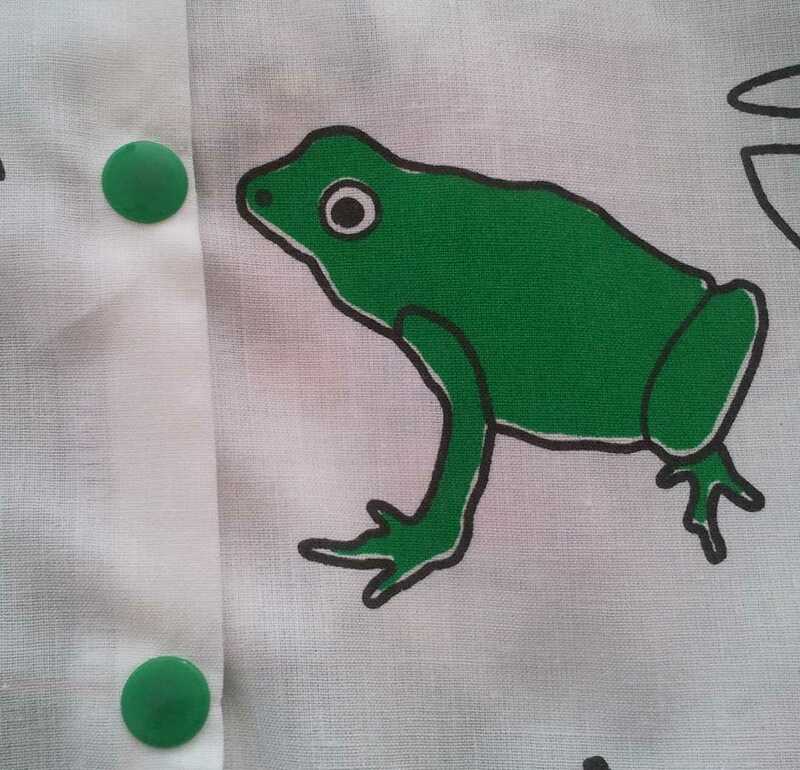 After going through my fabric stash, I noticed this wonderful fabric I bought at IKEA. And if you look closely to the design, you can spot a green frog appearing almost in the middle and an olive frog on the other side :-) Perfect !!! Then I started thinking about the Flip ... just sewing the pattern together is not really Flip-worhty, so I started combining my fabric with solids and came up with a combination of Olive green and the Ludovika fabric I bought at IKEA. After sketching a few possibilities, I felt simply working with two colors wasn't flipping enough, so I started dividing pattern pieces. And that's how I came up with the last design : a green triangle combined by skirt and bodice. What a fun way to flip the pattern! Very cute and I love the combination of the solid and print! Very striking - with the colorblocking effect!! So glad to see you link up this month!! I am a sucker for olive so I adore this whole look. The patterned fabric is really cool too.